You all know that I love my flash tattoos. I love them so much, I had my graphic designer create these custom SG flash tattoos just for Sage Goddess! You are going to love these. If, like me, you cannot commit to a permanent tattoo idea, but you enjoy the prospect of adorning your body with artwork, then these are for you. These tattoos will be the hit of your next party or goddess gathering. My crystal tattoos bestow you with the radiance of your inner sparkle, drawing attention to your goddess qualities. This flash tattoo is a perfect choice for a refined and elegant look that highlights your natural beauty. Adorn your goddess self and have some fun! Push the boundaries of conformity and celebrate your inherent beauty. Or, place one somewhere hidden and leave it as a surprise for your partner. Let the little ones express themselves at their next party. However you are called to use these, let them inspire creativity, self-expression, and individuality! 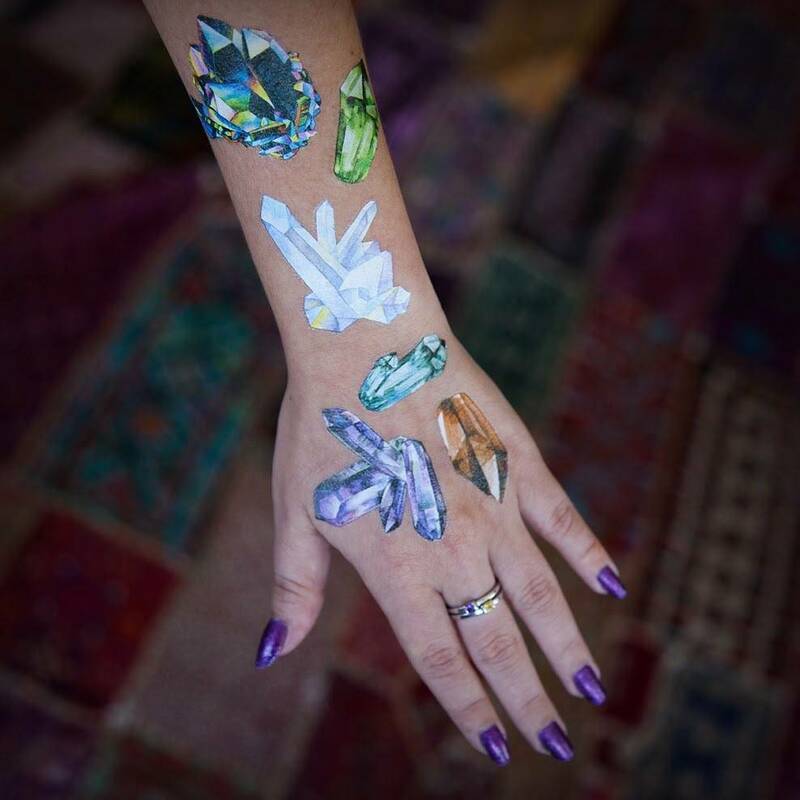 This listing is for one (1) SG custom crystal flash tattoos sheet as pictured. Yours will arrive lovingly parceled and ready to adorn.